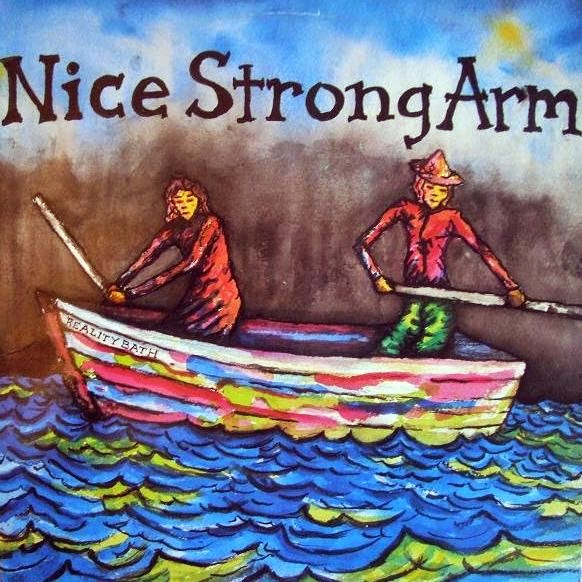 Nice Strong Arm were formed 1987 in Austin, Texas. Initially boasting two drummers (on their debut LP “Reality Bath”) the band stripped down to a three-piece (consisting of Kevin Thompson, Jason Asnes and Jeffrey Kent Hoskins), moved to New York where they were immersed in an already densely populated alternative rock scene. They initially found comparison amongst the likes of Live Skull, Swans and Sonic Youth (the latter of whom the band were initially criticised for sounding too alike). They recorded three full-length albums before splitting up circa 1990. Discography: 1987 Reality Bath (LP) 1988 Mind Furnace.